Welcome you to the Specialists of Hungarian wines. If you are looking for Hungarian wines or only for high quality wines, you are at the best place! Would you like to order Hungarian wine, or register in our webshop? Please log in or create an own account ! Cabernet Franc, planted as a pure grape variety in Hungary, has gained definitively the international breakthrough. The worldwide very popular and well-known grape variety is grown principally in the Villány, Szekszárd, Eger and in the Balaton Wine regions. 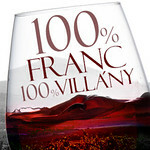 But first of all, for Cabernet Franc the most favorable wine region is Villány. 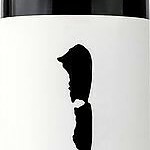 (J. Robinson) Cabernet Franc has found its new home in Villány, becoming a benchmark of the wine region. It perfectly suits the terroir and produces reliably year by year. If you have ever tried Villányer Cabernet Francs , you could recognize that Cabernet Franc has a real mission in the Villány wine region. There is a big a classical! Fine, delicious, universal drinkable and still well-priced! The best choice for the everyday pleasure. This Cuvée comes from the best lays of the 55 Ha big wine gardens of the Kristinus Winery at the Balaton. All of his drops contain: 2000 hours Sunschein, Merlot, Zweigelt, warm soil, Cabernet Franc, Balaton-Terroir and Kékfankos. It is avalaible now at a very introductory price. Buy now! Review: Hungarian wines to the Grand Schlemm Menu 2015! The GRAND SCHLEMM (16th May 2015) was the biggest culinary event of the year on the island Usedom. 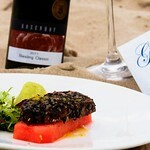 The top-class chefs of the island prepared the finest aromatical delicacies directly along the beach of the Baltic Sea on 10 different gourmet points („Gourmet-Rastplätzen de Luxe“). Such a nice event WEINKOMPLOTT also could not miss. We served the best suited Hungarian classical red wines to the carefully chosen, compiled and cooked Hungarian menu by Brian Seifert : a Bikavér from the Eger wine region and a Kadarka from the Szekszárd region. After the remarkable Schlemmer-Menu we spoiled the quests with our well-chosen and fine Hungarian TOP quality wines. WEINKOMPLOTT is also on Facebook! Join us and be part of the WEINKOMPLOTT - Ungarn Wein-Spezialist group and therewith of the contemporary Hungarian wine scene! Find our news and posts on our FB page! Follow us! We are always happy to get your feedback! We opened an online diary on the Internet in July 2009. We wrote news on Hungarian wines, about wine - life, our personal experiences and wine-tastings, furthermore our visits to wineries. Thank you for visiting and reading our blog about Hungarian wines but in the meantime we started our own site on Facebook. If you would like to read more about these themes and would like to be well-informed about our news, please follow us there! Our Online Webshop is the only one in Europe which has the widest selection of Hungarian wines (moreover Hungarian premium wines) and works outside of Hungary. We concurrently distribute wines from 8 different wine regions – such as Balaton, Eger, Pannonhalma, Somló, Sopron, Szekszárd, Tokaj and Villány – and from more than 50 different wineries. Our assortment includes wines from several Hungarian winemakers, whose quality wines are recognized and awarded not only on domestic but on international wine competitions as well and who are the most prominent and popular winemakers of Hungary. Our aim is, beside distributing and representing the well-known, respected and long-operated wineries, also to explore and introduce young talents and smaller family wineries to European customers. We believe that we have a great opportunity to introduce and establish their talent to you, supporting them in marketing and giving them the chance to be well-known all over Europe. We are continuously striving to explore all great Hungarian wines and winemakers and present them and their treasures to European people. 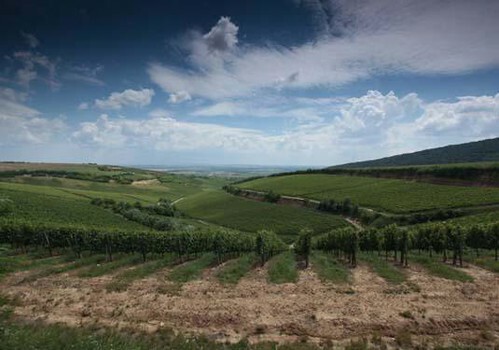 Additionally, we are working hard to source the very best examples of wines from native grape varieties and blends direct from the most outstanding vineyards and vintages of Hungary. We would like to provide connoisseurs with the chance to try new and different wines of exceptional quality. And last but not least, we want our customers to love Hungary and its wines as much as we do! This is our mission. Are you interested in Hungarian wines? Or would you like to order from our sortiment? Please log in or create an own account!